How about a hardtop on WW2 jeeps? Comments Off on How about a hardtop on WW2 jeeps? How about a hardtop for your WW2 jeep? After all, it can be pretty cold out there! Above is a hardtop for the MB/GPW. The top has a tag that states “Metro Eng & MFG, Detroit Michigan, Ord# 14087″. It looks just like the one I had in Alaska. Shame on me for getting rid of it, but it was before eBay and it’s just too HOT in Florida. Photo: David Brown. Sometimes it is great to have a hardtop on your jeep! While Willys did build a prototype hardtop during WW2, it wasn’t purchased by the government during the war years. 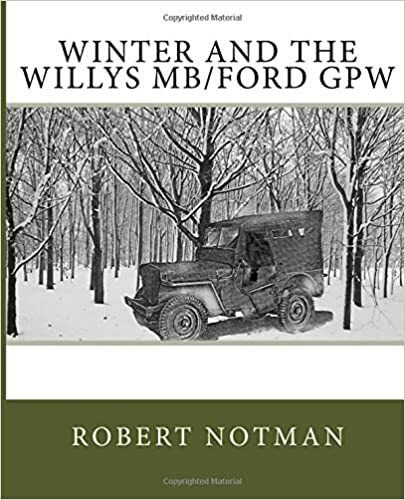 If you’re interested in keeping warm while driving your WW2 jeep you might want to check out this book – Winter and the Willys MB/Ford GPW. It’s back in print with the original information but a new cover. The 83-page book contains the instruction manual for installing the Winterization Kits that were issued during WW2. Frankly, when I started 20 years ago in this hobby I didn’t even know WW2 jeeps could have had a heater. There is information here about the slave kit…this allowed one jeep to be used as a starter vehicle for other vehicles that were too frozen to start on their own. There’s information here about the crew compartment heater, engine hood blanket (did you know one goes UNDER the engine, too? ), full top enclosure (it had zipper doors), primer pump for cold weather starting and much more.